Click on the book images below to read reviews. The Silence begins and ends with Jean Sibelius (1865-1957), perhaps the best known contemporary composer of his day, famously ‘silent’ for thirty years, and constantly pestered for an eighth symphony. But this collection touches on several other kinds of silence, not least the ultimate one and the luminous possibility of something beyond: a tribute to the late Dennis O’Driscoll is a bold meditation on this possibility. 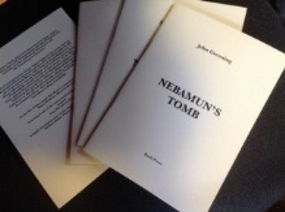 Egypt is where Greening’s poetry began (as described in his 2017 memoir, Threading a Dream: a Poet on the Nile) and the sequence ‘Nebamun’s Tomb’ is here reprinted from a much praised 2016 Rack Press pamphlet. It describes an extraordinary series of tomb-paintings in the British Museum. 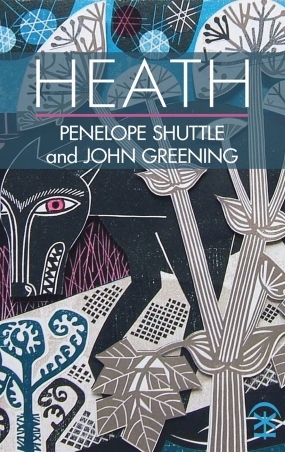 There are extracts too from Heath, John Greening’s 2016 collaboration with Penelope Shuttle, poems which tune in to the mysteries and magic behind the noise of Heathrow, the area where the poet spent his youth. A version of Hölderlin’s classic, Homecoming, is transposed to Hounslow Heath, and Greening sends a verse letter to Chief Seattle (‘There is no death, only a change of worlds’) from on board a flight to the Pacific North-West. 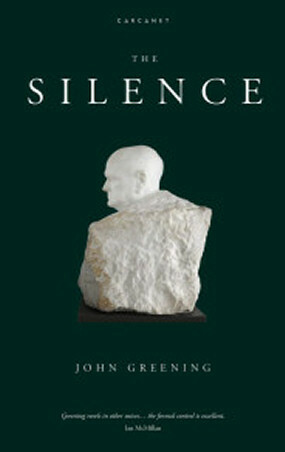 The Silence also visits the Peak District and England’s chalk landscapes, drawing out their mystical and visionary details, and several poems take us to the flatlands of Eastern England with which this poet is particularly associated. Along the way are poems about trees, a totem pole, penny coins, a coal bunker, Hilliard miniatures, the X5 bus route and migrating geese. 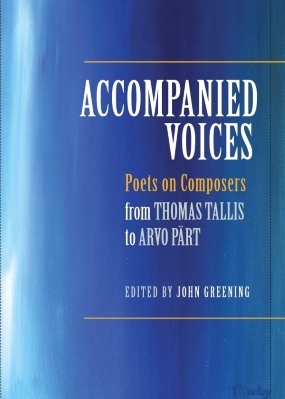 The final third of the book consists of a single long poem exploring the creative process (the composer’s’s but also the poet’s) and the tensions at play in Sibelius’s life as he looks back over his seven great symphonies, and struggles to produce an eighth in the forests of Järvenpää. For two weeks in the summer of 2018, I was artist in residence at the Heinrich Böll Cottage in Dugort, Achill Island. I didn’t quite know what I was going to write, although by way of preparation I had bought myself a new edition of Yeats and was revisiting some of the Böll stories that I had studied for A-Level almost half a century ago. As it happened, I began to write a sequence of sonnets, a form I have loved since I taught myself the form by writing 36 sonnets, one a day (each a different kind) to tell the story of ‘The Winter Journey’ undertaken by some of Captain Scott’s men. That was in 1981/2. It was probably about the same time that I last corresponded with the teacher, Jack Stevenson, who introduced me to Heinrich Böll’s work, and who certainly had no idea that I was sitting at Böll’s desk as he sent me an email that first morning in Dugort. I opened it in astonishment. He had come across a sonnet of mine in The Spectator a week or two before, which was in memory of my good friend Dennis O’Driscoll, and he decided to get in touch. It was a promising start to my stay, and it made a natural subject for my first sonnet – which also features an even more unnerving encounter during my first night in the cottage. 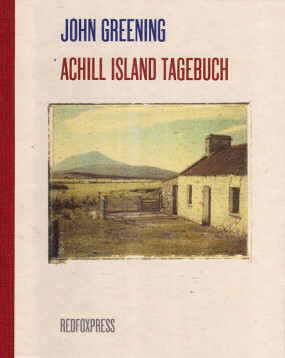 The title of my sequence is in acknowledgment of Böll’s own popular Irisches Tagebuch (Irish Journal) which describes his time on Achill. I surprised myself (and was able to tell Jack with pride) when I picked a copy off the shelf in Böll’s old study, and found I was actually able to read the book (very funny it is too) in the original German. My sonnets are a kind of journal, but they are not a mere holiday album, I hope: there is as much of ‘what I dreamt’ as ‘what I did’, and personal memories feature alongside news items, bits and pieces of local history. Some of my reading is in evidence, as are my personal enthusiasms (the music of that would-be Irishman, Arnold Bax, for example, who wrote Yeatsian poetry as Dermot O’Byrne), but I also incorporate some of the incidents from my stay. This includes encounters with passing German tourists (they stop regularly outside the cottage, where they are requested not to disturb the inmate), an odd note from some student scientists, drinking at a wake with Vietnam veteran poet Kevin Bowen and author of My Father’s Wake, Kevin Toolis, and a visit from the artist Conor Gallagher. One name shoudl not be forgotten, and that is John F.Deane, who was born on Achill and has written extensively about the island. I brought a copy of his Dear Pilgrim with me to read in the cottage, and discovered that it included a ‘Letter from East Anglia’ about Little Gidding. Not only is that village a short cycle ride away from where I live in England, but it’s where I met Seamus Heaney and had perhaps the most memorable conversation of my life on the spot where Nicholas Ferrar received all those manuscripts from George Herbert. What did we talk about? Chiefly about Dennis O’Driscoll, whose obituary I would find myself writing shortly after, and to whose memory this sequence is dedicated. 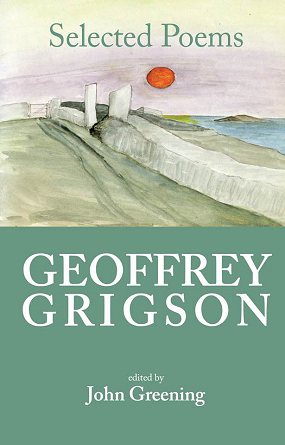 Geoffrey Grigson (1905-1985) was for many years a vital figure in the literary life of Britain. 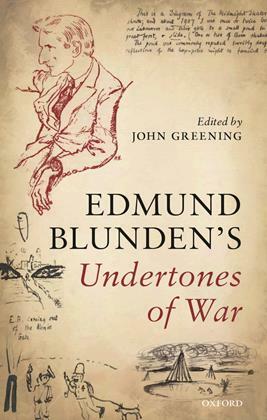 A notoriously unsparing reviewer, he edited the magazine New Verse (which brought Auden and other writers of the 1930s to prominence) and found popularity with his writings about the countryside and several wonderful anthologies. For much of his life he was writing his own poetry too, but it was only when he was in his sixties that it attracted much attention, and since his death it has largely been overlooked. 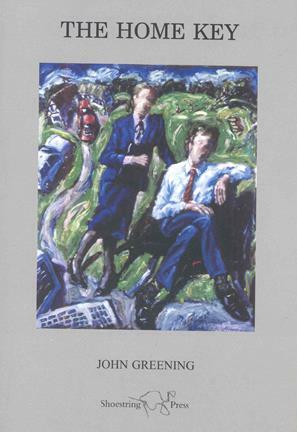 This new Selected Poems ranges from his debut 1939 collection and the work of the 1940s and 1950s (long unavailable) through to the award-winning late volumes and the very last poem he wrote, in September 1985. Love lyrics, satires, landscapes, sketches of rural life, autobiographical pieces - these poems sharp, economical, by turnhave a freshness and clarity of focus rare among contemporary poets. They also amount to a fully rounded portrait of this controversial Cornishman: a seventh son, who lost all six brothers before he was middle-aged; who was married three times (finally to the cookery writer, Jane Grigson); who rubbed shoulders with the famous poets and artists of his day; who was quintessentially English, yet devoted to France and the idea of Europe; who lived through two world wars and many more purely literary feuds.Now the smoke has had time to clear, what remains is Geoffrey Grigson's poetry - by turns lyrical or barbed, restlessly attentive to the physical world, its delights and its terrors. Threading a Dream is a journey in prose and verse to southernmost Egypt, that 'Black Land' where the dead were known as 'Westerners'. 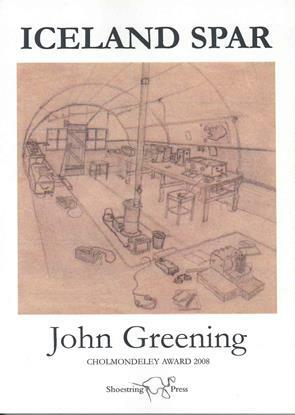 In 1979, the Greenings went to live in Aswan for two years. Newly married, childless, ready for adventure, they were prepared (with a smattering of colloquial Arabic) to thread the country’s mysteries, its contradictions, troubles, and delights, its sights and synchronicities. It was an extraordinary place, a unique time, and as this memoir describes, it was where the poet began to find a voice. In this new memoir, poems from thirty-five years, notably from Westerners (1982), are interwoven with prose chapters exploring the light and dark of life in Upper Egypt during the last days of Sadat. There are also snippets from plays, along with extracts from The Tutankhamun Variations and other Egypt-themed volumes such as Omm Sety The story of Threading a Dream picks up several unexpected threads. Some are uncanny, even mystical, and more than a few are political, but in the end this is a memoir is about one English writer’s personal Arab Spring. ‘Greening is a disarming and engaging guide ... 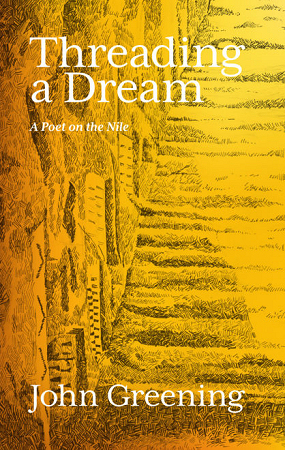 I enjoyed Threading a Dream a great deal’ (Andrew Hadfield, PN Review). "I have written many times about my Hounslow childhood: those weird groans and howls that would rise at night from beyond the hawthorn hedge at the bottom of our garden, when engines were being tested; the nightflights coming uncomfortably near to our chimney as I lay in bed (the roof was later ripped off by the vortex from one that came too close). The rhythm of life near Heathrow meant that conversations and even lessons at school had to pause for the planes. I loved them, of course, and adored the airport, where I would play on the lifts and the fruit machines. I was even vaguely aware of the significance of Heston—where we used to go for the swings or a haircut—as the place where Mr Chamberlain returned from Munich waving his piece of paper. Penny and I had often reminisced about the area. 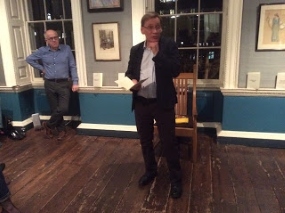 But it was only on a visit to Falmouth in February 2014, where I had been reading from To the War Poets, with poems such as 'Heath Row' and 'Middlesex', that her own new preoccupation with London became clear. Indeed, her 2014 chapbook, In the Snowy Air, is something of a love song to the city. I think it may have been my suggestion, but anyway the subject came up after my reading: we should collaborate on something about the Heath... I went back to Cambridgeshire and started writing: the first three poems, which are as they now appear in the book (and as they were published in PN Review), and which carry at least some sense of the two of us setting out on an unknown journey, not without memories of Macbeth and Banquo making their own heathen way. That was it. And there really was a feeling that this was something new, untried, just out of reach: exactly the right conditions for satisfactory poetry. Soon Penny was responding. And very quickly we were picking up on each other's obsessions, even if we never quite abandoned our own preferred styles: mine a longer, denser line, Penny's shorter, freer, with her characteristic light touch. Before long there was collaboration at a deeper level, with Cornwall's 'As if' being answered by East Anglia's 'If as', for example, and the echoing of one poem by another meant that the sequence began to take shape as a book. By the end, we were even rewriting each other's verses and at least two of the poems here are co-written. It was an invigorating experience, although not unique: in 1988, Philip Gross and Sylvia Kantaris had produced something rich and strange in The Air-Mines of Mistila, for example, and that was certainly at the back of my mind, one of several literary milestones that reassured me we were not entirely lost, that we would emerge safely on the far side – as we have." Click here to learn about upcoming public readings. The poems in this pamphlet were written after visiting the British Museum to see their newly revived Egyptian collection, in particular the paintings from the tomb of an accountant called Nebamun. These remarkable works of art, dating from around 1350 BC, were 'removed' and sold to the museum by the British consul-general in Egypt, Henry Salt (1780–1827), a keen and well-placed collector of antiquities. My own interest in Egypt began rather later, between 1979 and 1981, when my wife and I were volunteer teachers in Aswan, an experience which resulted in Westerners (Hippopotamus Press, 1982), my first collection. 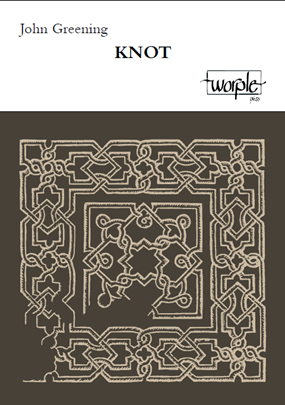 http://www.worplepress.com/ or from any online bookshop. As we approach the centenary of the outbreak of the First World War, a modern poet sends dispatches across the decades, hoping to catch strains of a forgotten Englishness – but offering an alternative perspective too, in his translations from Heym, Trakl, Stadler, Stramm. Verse letters to the war poets are interwoven with other pieces in which the sounds of conflict are never far away: the Sutton Hoo ship burial is discovered weeks before the Second World War, Heathrow is shut down by security forces in 2006. A childhood of planes and trains and bicycles is haunted by gibbet and blitz and holocaust. There are troubled echoes of Empire (Egypt and Zanzibar, personally significant places for the poet); and amid the gentle landscapes of middle England there is still a distant rumbling: the pacifist Waldo Williams trapped in war-time Huntingdonshire, Glenn Miller’s final concert in a Bedfordshire village. 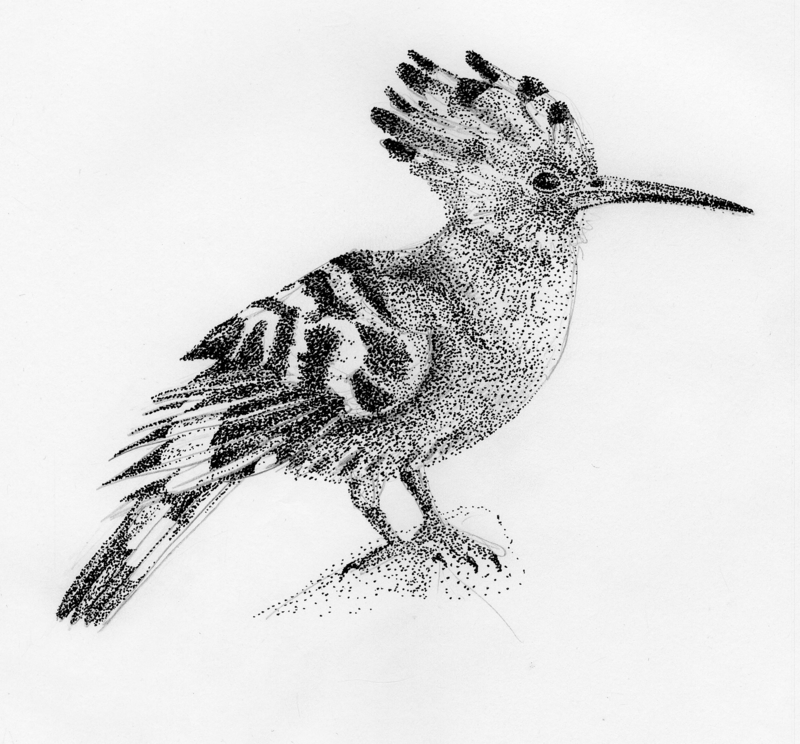 Carcanet's 2013 catalogue can now be read at the link below. 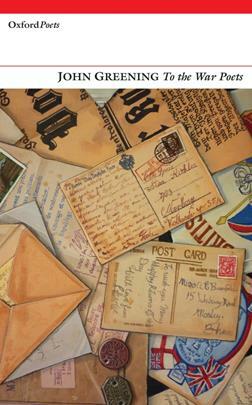 To the War Poets , with a cover by St Neots artist Richard Walker, is featured on page 26. John Greening writes: "ICELAND SPARfocuses entirely on Iceland rather in the way that my first collection was solely about Egypt. The deserts of this book are those of the lava-plains, but also the emotional aridity of a teenage Second World War RAF recruit, stranded in Akureyri a long way from his girlfriend back in London, enduring the Blitz. The recruit is my father, who spent much of the war as a wireless operator in Iceland; the girlfriend is my mother. 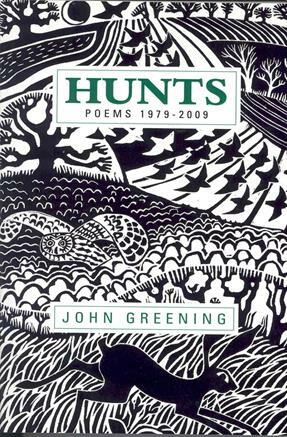 But many of these poems are a response to the landscape of Iceland during my first visit there in 2001, following a generous grant from the Society of Authors. I tried to track down the site of my father’s wireless hut and rekindled an enthusiasm for Old Norse (which I studied at university) and the mythology of the Northmen. The book includes a version of one of the Edda, ‘Voluspa’ (published in Modern Poetry in Translation) a vision of the end of the world, which I finished just a few days before 9/11 and consequently found myself rereading with an entirely new and contemporary slant." John Greening’s tenth collection, The Home Key, includes the Bridport prize poem, a sequence commissioned by the Eden Project and a song cycle performed at the Wigmore Hall. ‘Musical, spatial and geographical in its suggestiveness...here is an eye that sees the incandescent wonder of the world’ (Acumen). ‘Rich and rewarding writing’ (Eddie Wainwright in Envoi). 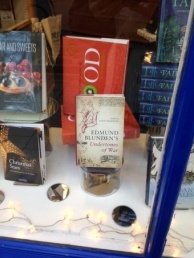 ‘A worthy Bridport winner’ (London Magazine). 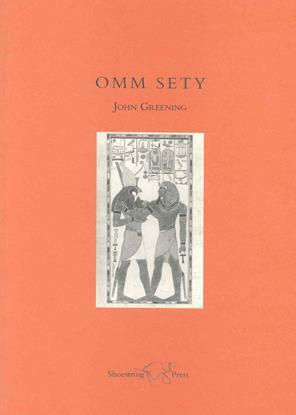 Omm Sety is a narrative poem, which tells the true story of Englishwoman Dorothy Eady, who believed that in a former life she had been the mistress of Pharaoh Sety 1. This dramatic poem weaves the voices of Eady and Sety with memories of the poet's own years in Egypt during a period when Omm Sety was still living in the temple at Abydos. John’s Guardian obituary of the Irish poet Dennis O'Driscoll can also still be found http://www.theguardian.com/books/2013/jan/04/dennis-odriscoll.